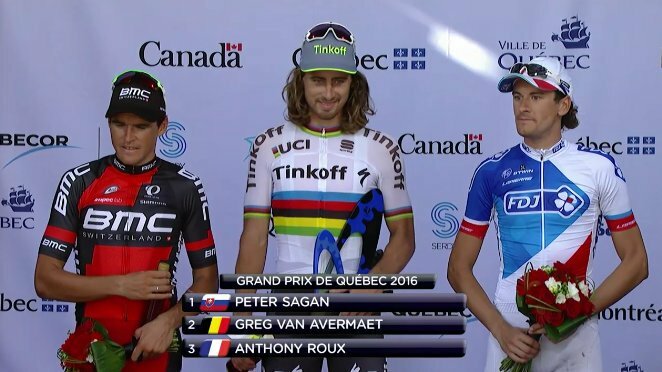 It's hard not to pick Peter Sagan to repeat after his surprised Quebec victory. The world champion said earlier this week he was using the Quebec/Montreal races as training for the Doha world championships. He comfortably bolted from the peloton in the final 500 meters over Olympic gold medalist Greg Van Avermaet and Anthony Roux to make it look damn impressive. "Anthony made a move early and I went with and he pulled me through. I have to thank him for that. There were a lot of attacks and I just tried to stay in the peloton and hope there was a sprint at the end." 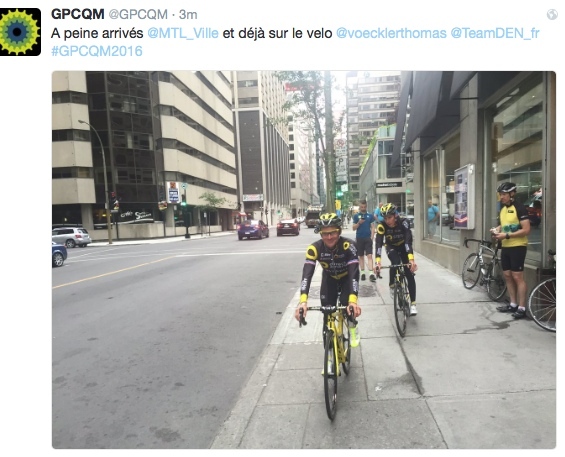 Simon Gerrans was the last rider to do the Quebec/Montreal double in 2014. Obviously, it can be done and Gerrans was on fire... Sagan may be the man to second that. 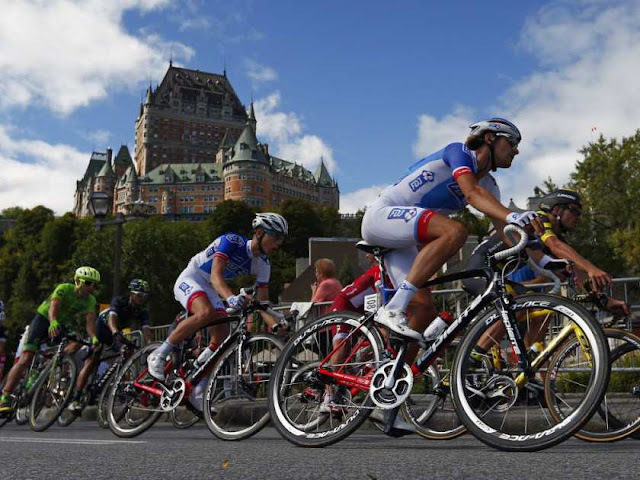 Tomorrow the action moves to the challenging Montreal course where the riders will face the infamous Mont Royal climb. The race is 17 laps of 12.1 kms, total distance: 205.7 kms. I watched Jeannie Longo on the same course back in 1998 and just being on Mont Royal was exciting and the feel was electrifying.